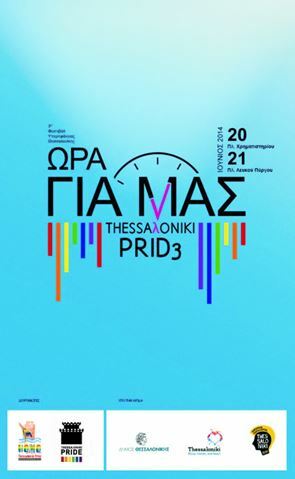 The countdown for the 3rd Thessaloniki Pride has begun! We are getting ready for June 20th & 21th, 2014. HOMOphonia-Thessaloniki Pride presents the official poster of the 3rd Thessaloniki Pride and invites everyone at the two-day events, on Friday, 20th of June at the Xrimatistirio Square and on Saturday, 21th of June at the White Tower, where the lgbt march will take place. Come and raise your voice with ours.